Spend your money wisely by choosing a chest of drawers that’s versatile enough for every room in your home. The Montana Chest is the perfect fit. 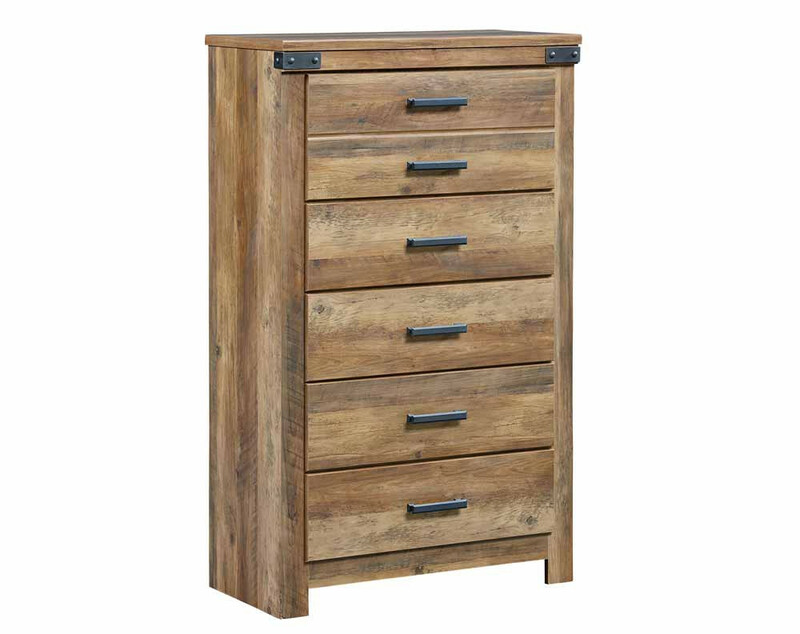 We love the rugged character of this tall chest of drawers as well as the industrial detailing. The five drawers are adorned with simple black metal brackets. The front top corners have a black metal plate detailing that’s subtle and modern. The dresser chest sits slightly raised off the ground for an elevated look. In a foyer or near your front door. Tall chests of drawers are great for miscellaneous storage throughout your room, but they make a statement when you walk into your home. Complete the look with a few decorations on the top and add a large mirror above the chest of drawers. Near your dining room. Whether you choose a hallway or a corner of your dining room, place your Montana Chest against a wall. Throughout the year, use it to display holiday decor and store linens like placemats, napkins, and tablecloths. In a complete bedroom set. 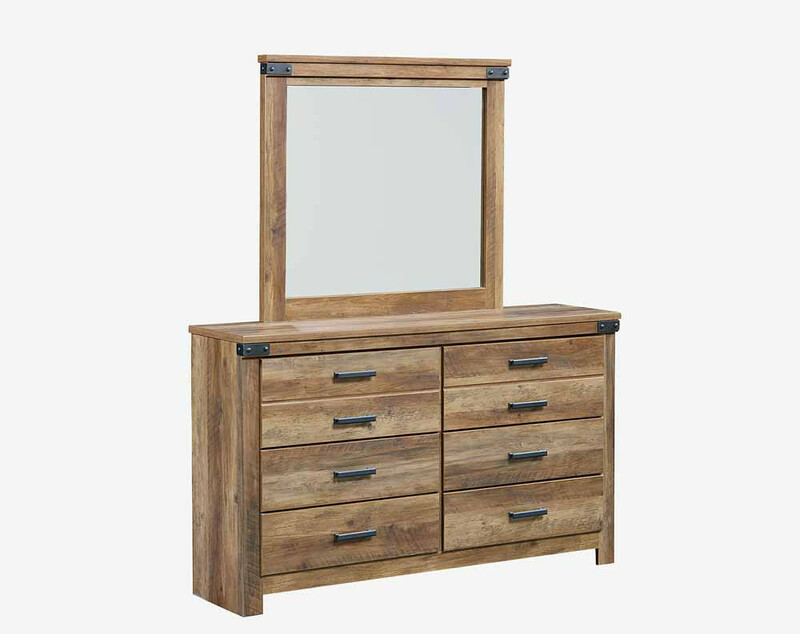 Take home the Montana Bedroom Set in King or Queen. We offer 3 Piece and 5 Piece options to fit your bedroom furniture needs. 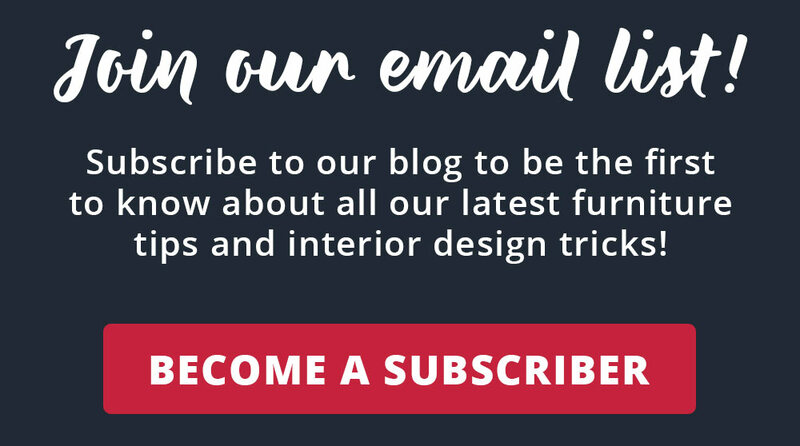 To try before you buy, visit an American Freight Furniture and Mattress near you. Can you think of other ways to stage this beautiful, rustic chest of drawers? Share with us in the comments! There are countless ways to make this piece look and function well in any room. Are you looking for a chest of drawers or a complete bedroom furniture set that will stay on-trend for several years? If so, the Montana Chest and accompanying bedroom accessories are some of your best bets. We love how you can create a Farmhouse style in your bedroom when you pair the furniture with light and bright bedding. For additional contrast, you can add a cream or white rug to truly make the set pop. For an industrial look, opt for dark bedding like navy, charcoal, or black. Choose floor lamps and other accessories with hints of steel or brass. We recommend choosing black metal accessories to create a truly industrial look. 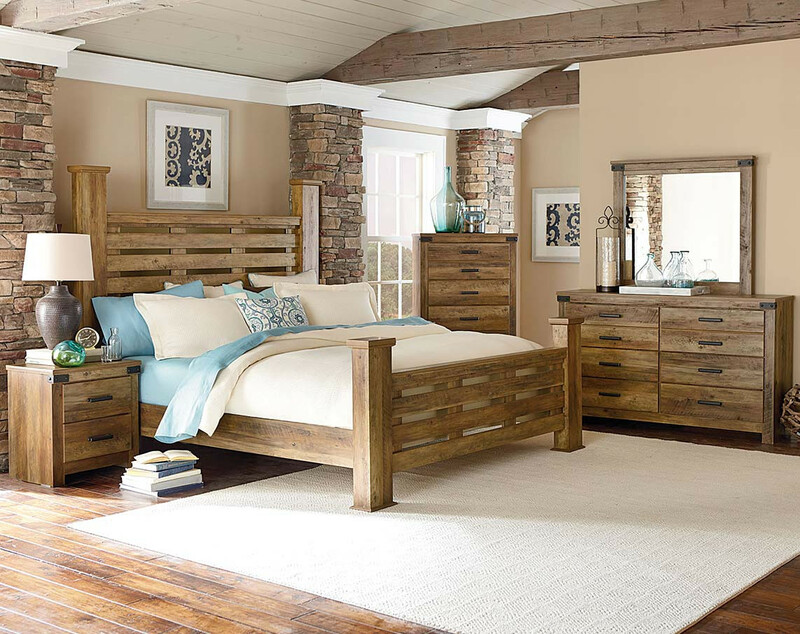 American Freight Furniture and Mattress offers low, easy payments for the Montana Chest and the Montana Bedroom Set. Stop in today to ask about our financing, layaway, and same-day delivery options. We offer affordable furniture options in modern styles that are versatile and fit for any child, teen, or adult. We have a wide selection of bedroom furniture including dressers, chests of drawers, trundle beds, and platform beds. Don’t forget to complete your bedroom with a soft and supportive new mattress. 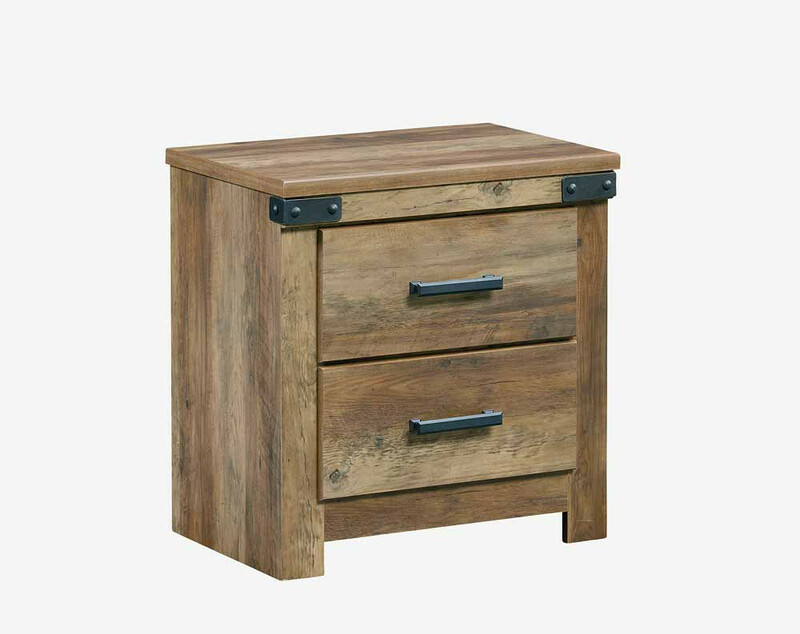 To learn more about the Montana Chest and other chests of drawers for sale, stop by your local American Freight today. Click here to find a store nearest you. Previous PostHuge Furniture Savings This Labor Day!